Sweden’s environment minister is threatening to introduce a national ban on endocrine-disrupting chemicals if the European Union does not act, citing growing evidence of their health-damaging effects. The minister, Lena Ek, says climate change and endocrine-disrupting chemicals are the two most important issues on her agenda. 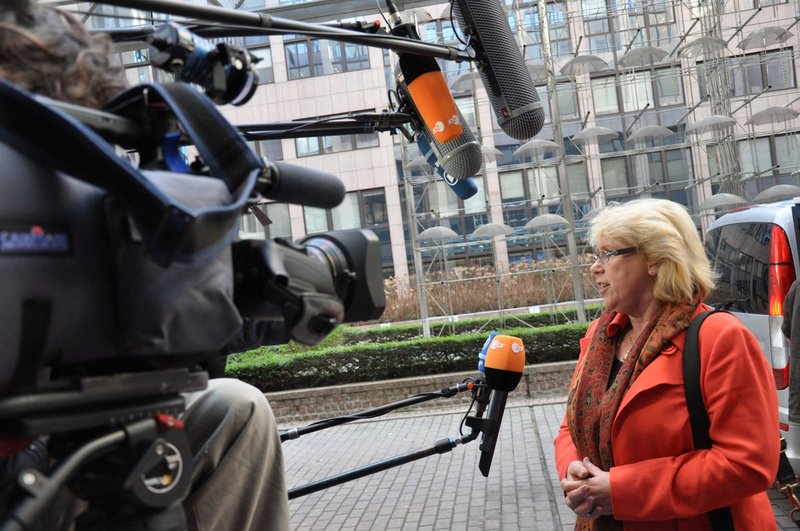 "They are both about the coming generations and the future of the Earth," Ek told EURACTIV. Studies show "solid" scientific evidence of the health-damaging effects of endocrine-disrupting chemicals, the minister said, highlighting research by the Swedish professor Åke Bergman and the Swedish NGO ChemSec. Ek said she was convinced that "immediate" action is necessary despite facing the risk of a court case with the EU. Endocrine disruptors have been linked to adverse effects on the neurological, reproductive and immune systems of humans and animals. Human exposure to endocrine-disrupting chemicals can occur via the ingestion of food, dust and water, inhalation of gases and particles in the air, and skin contact with plastics and rubbers. Known examples of endocrine disrupting chemicals include phthalates (plastic-softeners), brominated flame retardants (often used in household textile or furniture) and metals like lead and mercury. Ek said she was particularly worried about Bisphenol A (BPA), an industrial chemical that has been present in many hard plastic bottles and metal-based food and beverage containers since the 1960s. BPA has been found to be an endocrine disruptor. Even though Sweden introduced a ban on BPA in the lids of children's food containers last summer, Ek said it might be "necessary" to take further steps if the EU does not move forward. "I and my party would personally like to see a total ban on Bisphenol A, but it’s quite difficult. We need to move forward while taking the single market regulation into account and it will continue to be complicated as long as there are two different opinions on endocrine disruptors within the Commission," said Ek, who is a member of the Centre party. France has banned the use of BPA in all food contact materials intended for children under three years of age from 2013, and for all age groups as of 2015. From January, Belgium has banned the use of BPA in food contact materials for children under three. In September 2012, Danish Environment Minister Ida Auken also told EURACTIV that even with the risk of a court challenge by the European Commission, she was banning four phthalates (DEHP, DBP, DIBP and BBP) used in shower curtains, table cloths and other consumer goods because they contain endocrine disrupting substances. Danish authorities had already banned BPA in food contact materials for young children in 2010. Under REACH, national governments must first consult with the EU executive before banning chemicals. While an MEP from 2004-2011, Ek was one of three rapporteurs on the EU's regulation on chemicals, REACH, before it entered into force in 2007. Sweden's environment minister now said REACH is a way of "lifting the lowest level" and that REACH has its shortcomings, including the need for better labeling and cracking down on endocrine disruptors. She also mentioned “cocktail effects”; when otherwise harmless chemicals together create a dangerous combination. Sweden has a very strong chemicals regulation in place, Ek said, but that isn’t the case in a number of other EU states and she therefore wants to work for a stricter chemicals law in the EU. "I think from a solidarity point of view, REACH is of course a very good start, but this is by no means the last thing we have to do," Ek added. One challenge in the EU is that there is a difference between the European Chemicals Agency (ECHA) and the European Food Safety Authority (EFSA) on the approach to endocrine disruptors, the Swedish minister said. "I think EFSA is very good when it comes to diseases and security and risk issues, but there is a knowledge which the experts from [the Commission's] GD Environment and ECHA that shouldn’t be neglected," Ek said, again adding that "cocktail effects" must be taking into account. On 20 March, EFSA published an opinion that endorsed the World Health Organization's definition on endocrine disruptors, but also made a scientific distinction between endocrine disruptors and endocrine-active substances. The Pesticide Action Network Europe said the move by EFSA was a big disappointment that made no sense. "This will only add confusion and is a counterproductive move from EFSA," PAN Europe said in a statement. Some substances known as endocrine disruptors can alter the function of the hormonal system increasing the risk of adverse health effects. Some endocrine disrupting chemicals occur naturally, while synthetic varieties can be found inpesticides, electronics, personal care products and cosmetics. They can also be found as additives or contaminants in food. June 2018: Third registration phase closes with substances produced in smaller quantities (1-100 tonnes).